Choose the right plan and boost your Internet Speed and reliability – comBOX Virtual Leased Line technology can make an impact on your business. Need a custom service bundle? In case your business requirements are not covered by the available comBOX VLL service bundles, we may design a comBOX VLL service plan that fits your needs. Optimized bandwidth aggregation : IP-layer link aggregation of multiple wired Internet connections for increased bandwidth. 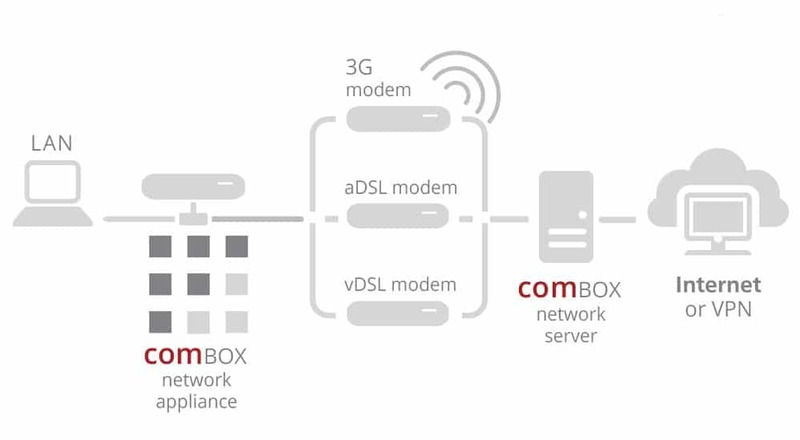 By aggregating multiple low cost wired Internet connections, the comBOX VLL service bundles guarantee your connectivity, with significantly lower cost than traditional Internet leased lines. With comBOX VLL service bundles you can combine ADSL, VDSL, Cable and other wired connections for faster and more reliable Internet in the most cost efficient way.